Comment: I would like to get an estimate for a heater register installation and a vent. There is nothing there right now. Comment: I need to replace the HVAC system in my condo. The unit is outside in a small utility closet (on the balcony) for my condo. Need to replace both heating and cooling systems. A programmable thermostat would be nice, but is not necessary. Comment: Recently moved into Condo and Ductwork needs maintenance. Comment: I need to replace the old thermostat, it does not work properly anymore. I am planning to do the work at the end of April. Comment: We are taking down a wall and need a register moved to the floor and duct moved/a smaller one put in. Comment: We are a medical facility, we have Hepa air filters in our procedure rooms. The Hepa the vents that push the air the filters back into the rooms are too loud. We are looking to lessen the amount of noise coming out of the vents. Rockville Heating & Furnace Contractors are rated 4.68 out of 5 based on 5,064 reviews of 62 pros. 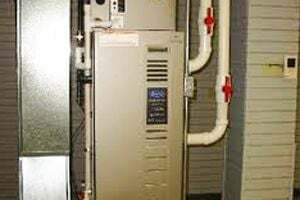 Not Looking for Heating & Furnace Systems Contractors in Rockville, MD?